A website redesign can be a huge success that brings your Brand new customers and improves your audience’s online experience, or it can fail by decreasing your website’s effectiveness. No matter what, a website redesign is always a time and money consuming project. So, spend your dollars effectively and make sure your website redesign is a success for your organization. Your website is an important component to your inbound marketing strategy. And it’s not just about design. Your website affects many other marketing channels like social media, email marketing, lead generation and Brand awareness. Check out the following tips to optimize the success of your website and your overall marketing strategy. Do not dive into a website redesign without a clear understanding of where you are headed. Ask yourself: What do you hope to accomplish? What areas do you want to improve? Come up with quantifiable goals that you can track throughout your redesign process. When you clearly define the purpose of your redesign and put it in writing, everyone on your team will have an understanding of where your website is headed. Before you begin redesigning your website, make sure you spend time preparing for it. Do your research, and find out as much information as possible about your current website by analyzing your website traffic data and gathering feedback from your users. This will give you a deeper understanding of the areas you need to improve in and what is working well for your website. Also, spend time analyzing your target audience’s needs and expectations of your site. How can you create a successful website if you do not understand what the users want and expect from it? Spend time setting up online surveys, interviews or other marketing research tactics to gather the information you need to clearly understand your website’s target audience. It is important to be organized throughout your website redesign process. Set expectations that are realistic and ideal. Also, manage your website redesign plan and your team to ensure you are running according to schedule and staying within your budget. Your content is an important component to your website. After researching your audience’s needs and expectations, apply those results to your content strategy. Build out content that will not only match your website redesign, but appeal to your audience. Doing this will allow you to optimize the results of your website redesign. Make sure you continuously test the ideas and layouts of your website redesign as soon as possible. Testing your redesign is just as important as creating it—and you cannot afford to forget this crucial step! Get members of your target audience to test the elements of your redesign, observe the feedback, and make any necessary changes. This will make your website redesign launch an even bigger success, because you will have direct buy-in from your stakeholders. Effectively executing each one of these steps will put your website redesign on the path to success. It can be overwhelming, but coming up with a master plan and keeping your goals in mind guarantees that your website redesign will produce results for your organization. Learn more about planning your next website redesign in our free eBook The Essential 10-Step Website Redesign Checklist. Get all the information you need to execute your successful website redesign. 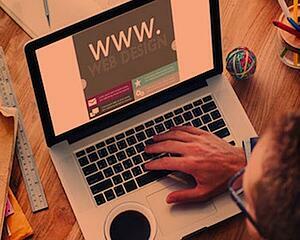 Make your next website redesign a success. Let's touch base and I will put the Hult Team's experience to work for you. We can connect at 309-673-8191 or jflynn@hultmarketing.com, and together, we can create a better focus on your Brand.